Detail of the façade of the Bodleian Library in Oxford showing Justice with her scales and blindfold. Studying law will not only give you the opportunity to qualify as a solicitor or barrister: it will also help you develop a diverse set of skills which you will be able to apply in many different situations. You will learn to assimilate and analyse complex information, construct arguments, write with precision and clarity and think on your feet. The Oxford Law degree aims to develop all these skills, but its particular strength is in teaching you to think for yourself. Students are expected to read a good deal, mostly from primary sources, and to develop views not simply about what the law is, but also about why it is so, whether it should be so, and how it might be different. 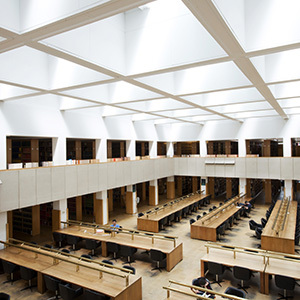 There are two Law courses at Oxford: Course I is a three-year course; Course II is a four-year course which follows the same syllabus, but with a third year abroad at a university in France, Germany, Italy, or Spain (studying French, German, Italian, or Spanish law), or the Netherlands (studying European and International law). 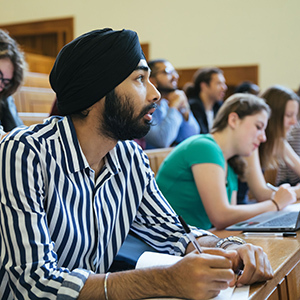 Students on Course II (Law with Law Studies in Europe) gain additional skills through exposure to different legal systems and the different approaches to teaching practised by our European partner institutions. Students who have graduated in other subjects may undertake the accelerated ‘Senior Status’ version of Course I. For further information about the courses, please refer to the Law Faculty website. You will be studying between one and two subjects at any one time (or up to three subjects in your third year) so in any given week you are likely to have one to two tutorials of an hour each (in a group of two to four students) and be asked to write an essay for each tutorial. Lectures are often regarded as an optional extra, with the tutorial system being our core form of teaching. On average, most students will go to two to three hours of lectures (or seminars for third year options) each week. Most of your working time (we anticipate the workload is 45 hours per week) will be devoted to reading, thinking, and writing your essays in preparation for the tutorial. Tutorials are usually 2-4 students and a tutor. Classes, which are generally organised by individual colleges, are usually 6-10 students. Seminars for second-year Jurisprudence mini-options and third-year optional courses generally involve groups of no more than 30 students but may on occasion exceed that number if the seminar covers more than one option. Most tutorials, classes, and lectures are delivered by staff who are tutors in their subject. Many are world-leading experts with years of experience in teaching and research. Some teaching may also be delivered by postgraduate students who are usually studying at doctorate level. Course II students will also be assessed during their year abroad by the university they attend. A full list of current options is available on the Law website. Essential: Candidates are expected to have at least a C/4 grade in GCSE Mathematics, or other evidence to demonstrate that they are appropriately numerate. Helpful: An essay subject can be helpful when completing this course but is not required for admission. To study in France, Germany or Spain candidates would be expected to have the relevant modern language to A-level, Advanced Higher, Higher Level in the IB or any other equivalent. To study in Italy, candidates may be admitted without A-level Italian, though they would be expected to demonstrate sufficient language aptitude to be able to achieve the standard required to study successfully in Italy during the year abroad. Intensive language training will be offered during the first two years of the course. Candidates are also expected to have at least a C/4 grade in GCSE Mathematics, or other evidence to demonstrate that they are appropriately numerate. All candidates must take the National Admissions Test for Law (LNAT) as part of their application. A number of other universities also require candidates to sit this test, registration for the test is required and it is the responsibility of the candidate to ensure that they are registered for these tests. We strongly recommend making the arrangements in plenty of time before the deadline. Everything you need to know, including guidance on how to prepare, can be found on the LNAT page. Candidates for Law with Law Studies in Europe who are applying for the French, German, Italian or Spanish law options may be given an oral test in the relevant European language at the time of interview. Academic achievement, reasoning ability, good communication skills both on paper and verbally, a capacity for hard work, and an interest in Law. For more on admissions, including a video of a demonstration interview, please see the Law Faculty website. For more detail on the selection criteria for this course, please see the Law Faculty website. While there is no assumption that our Law graduates pursue a legal career, around 75% of Oxford Law graduates do go on to the legal profession. 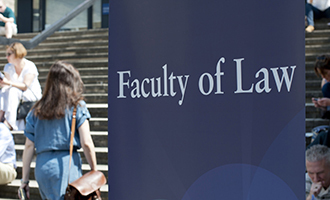 Although Oxford Law graduates gain a BA in Jurisprudence rather than an LLB, each of the Oxford Law courses counts as a qualifying law degree so Oxford Law graduates can immediately go on to the Legal Practice Course (for solicitors) or the Bar Professional Training Course (for barristers). Many Oxford Law graduates go on to successful careers practising law outside England and Wales. 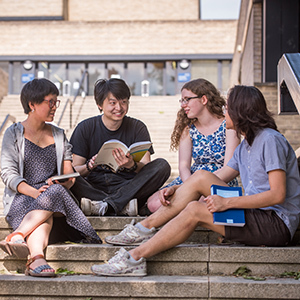 The Oxford Law courses naturally focus on English law, but the fundamental principles of English common law play a key role in other jurisdictions. Graduates of the four-year course also gain important international knowledge during their year abroad. If you want to know the status of an English law degree in another jurisdiction, please contact the relevant local regulatory body. Students taking Law with Law Studies in Europe will spend the third year of this course abroad. As you will be studying a full year of courses in your host university we do not recommend that you plan to do any regular paid work while you are away. Home/EU students studying abroad are currently considered for government grants and loans in the same way as when studying in Oxford, based upon the standard eligibility criteria. Students who are means tested in their application for government support will be automatically assessed for an Oxford Bursary and may be eligible for a travel grant. If the UK continues to be eligible to participate in the Erasmus+ Programme after leaving the EU, an Erasmus+ grant may also be available to Home/EU and international students. As a guide, students in 2018/19 would receive between €300 and €470 a month depending on their individual circumstances. For students going to France, Germany, Italy, the Netherlands or Spain, there is a one-off grant of £500 from London law firm Clifford Chance. Students in Paris may be able to apply for housing benefit, which in 2017/18 was about €165 a month. Applicants for Law with Law Studies in Europe may instead be offered a place on the three-year Law programme. Please note that the arrangements for and content of the courses may be subject to change as a consequence of developments regarding the UK's EU membership. Why not have a look at the faculty's introductory reading list for Law? You may also like to read the BBC's website Law in Action and download some of their podcasts, or visit the Guardian's law pages and Counsel magazine. Another good place to read about current legal cases is the court reports in broadsheet newspapers.